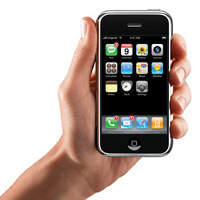 Did you know: the Historical Emporium website is mobile-optimized? 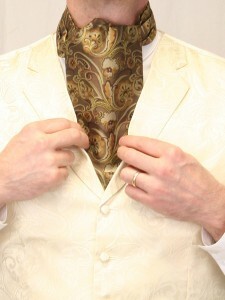 Many of our customers have asked us how to tie our silk puff tie. It’s really straightforward with a bit of practice. Get the old fashioned look easily. Learn how to tie a string tie. 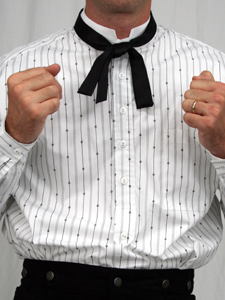 Learn to tie your ascot perfectly. Change your look, quick as a wink with our mustaches. 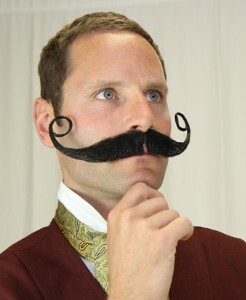 This will show you easily you can put on a mustache. 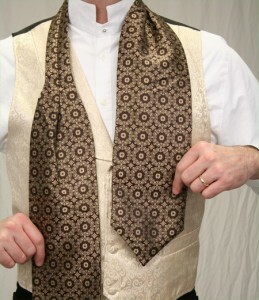 Many of our customers have asked us how to tie our slip-knot style ascots. Here’s one method that is easy and looks terrific. 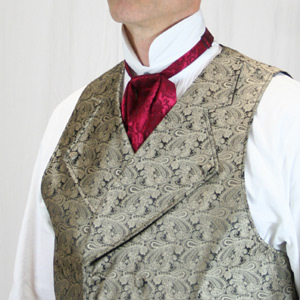 Cravats were the neckwear of choice throughout much of the 19th century. 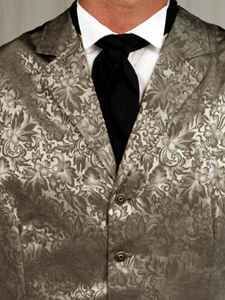 See how to tie an easy and authentic knot for your cravat.